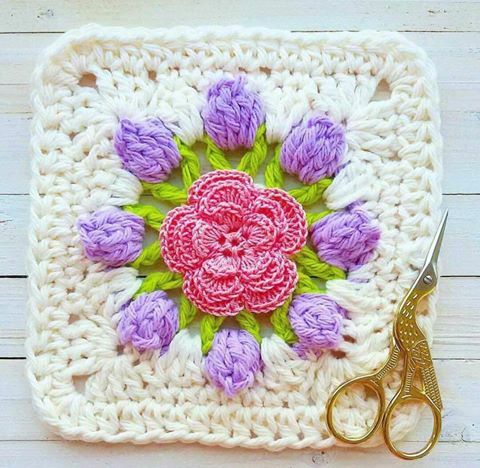 The blog YARN CROCHET share with you a mega tutorial crochet square that can be used to make quilts, bedspreads, pillows, and more! I know the house who makes crafts and knitting yarn, always lack of space to store paint, brushes, lines, wool and everything that is used for making the crafts. Here at home is so spare imagination and lack of space to store a multitude of knickknacks, always with the excuse that one day I will still need. I have so many free wool pattern and lines that keep in transparent boxes and separated by colors. I have skeins of wool stored for more than ten years. 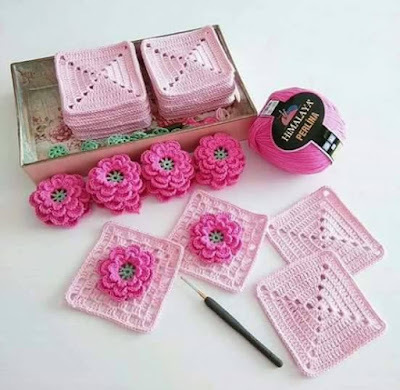 But these days my sister told me that the women of her community make crochet squares (square) crochet to make quilts for needy people. Heed that brilliant idea. Each knit one small square of color and model you want, but all the same size, previously agreed between them. In his spare time, each does as you can crochet. In the end they come together, join these squares and make a quilt to give needy families.